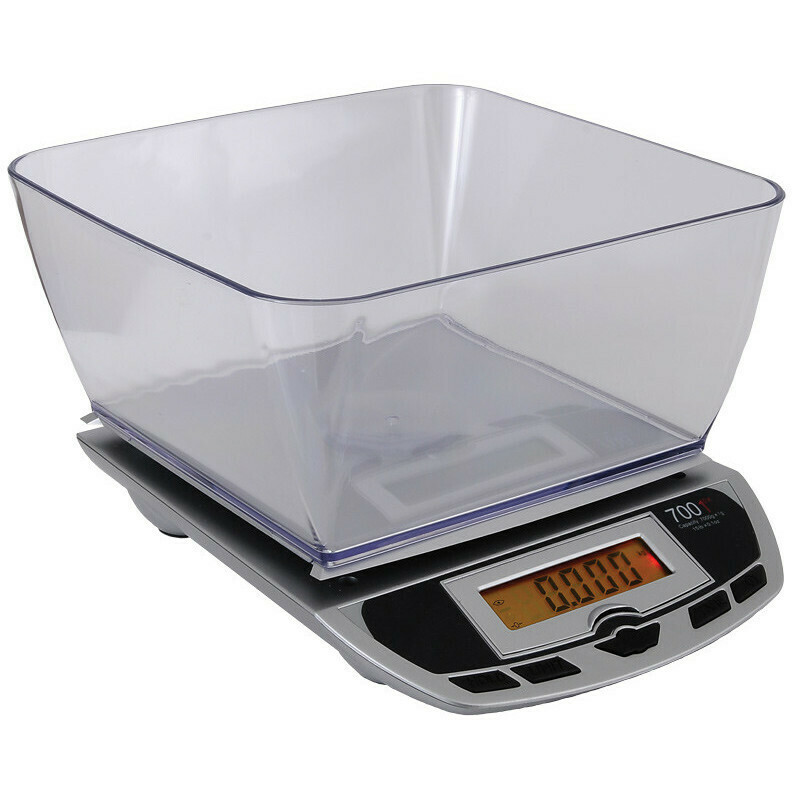 High quality, beautifully designed table top scale, in black. Complete with extra large bowl and two specially designed expansion trays. Weigh everything from 1 gram up to 7000 grams.